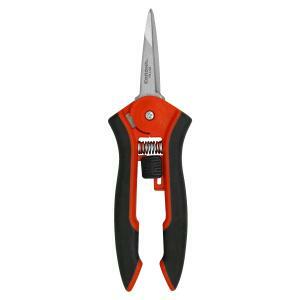 This snip’s 2-5/16” razor-sharp, stainless steel blades feature double-beveled tapered tips to provide precise cuts. Soft-touch handles offer a sure, comfortable grip. A double-sided lock allows for left-hand or right-hand use, and a heavy-duty spring ensures reliability. The handle and blades can be sterilized to limit cross contamination.